1) It’s Ramadan! That crazy time of year where people who are Muslim do not take food or water during the day. I don’t get how they do it, it’s hot (in Africa…weird), and people will go all day without any liquids. The family that lives next door is really keen on me trying to fast for a few days and I think I will. If I really want to integrate into Ghanaian culture this is a perfect opportunity, I don’t think I could handle it, I’ve lost enough weight already. 2) I think the difference between rural communities in the north and the urban south is ridiculous. 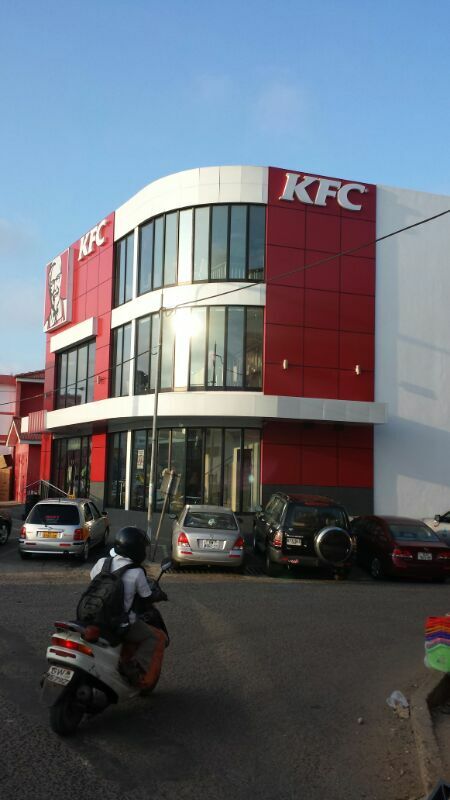 I was in Accra yesterday and found a KFC, and not just any KFC, this place was massive. Contrasting that to the rural villages in the north is really weird, and seeing what Accra is like is a great reminder for what is possible in Ghana. 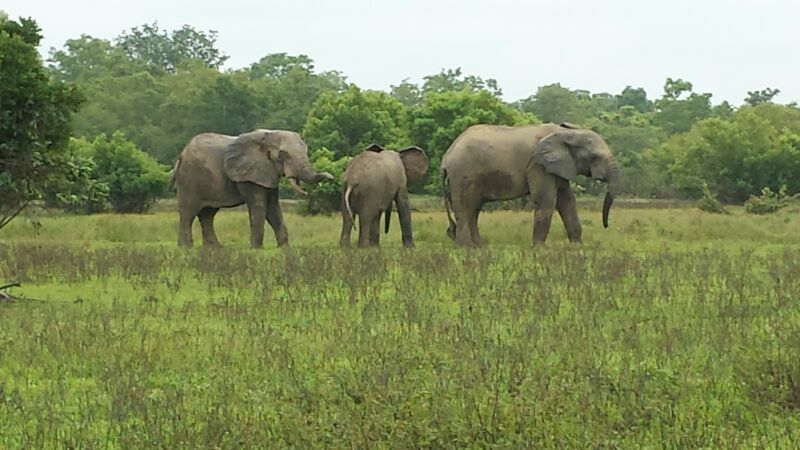 3) I think Mole National Park might be the greatest place in the world. The Junior Fellow mid-placement retreat was there about two weeks ago, and we got to safari! We had baboons try to break into one of the rooms, saw warthogs, and ELEPHANTS! 4) I think if Mole National Park is the greatest place in the world, the road there might be the worst. Six hours in a tro-tro going over bump after bump after bump, moving incredibly slow, and getting covered in dust is just no fun at all. 5) I think listening to the women in rural Ghana would be so great, just that most of them can’t speak much English. Women here do everything; work all the time, raise kids, cook meals, clean, farm, everything. During all my time in villages, the mothers of the families were up before I was, were working literally all day, and back in bed before I was. And I don’t get how they do it, but they can carry anything on their heads and be walking and talking completely normally. They are always smiling, always helping, and turn what little they have into delicious food. My mom has definitely been slacking these past 23 years. 6) I think I will end up considering applying for a long term placement with EWB after I graduate next May. 7) I think I’ve been a bit homesick this last week just knowing that Stampede is going down. It’s the best part of summer. 8) I think I’m going through some serious GoT withdrawal. Still haven’t seen the second half of season 3 because there is no wifi. I just watched the Red Wedding on YouTube and whoa, I need to see the rest of the season. 9) I think (I know) that I have been really bad at blogging so far in this placement. Writing in this seems super awkward, but I want people to know what I’m doing and what’s going on in Ghana, so I’ll try to work on it more. 10) I forgot to do an update on work! Since we are a bit short staffed my role has switched a bit to more of operational role. I was down in the south this last week getting contracts signed for a new loan, and this next week I’ll be working with a local farming group on a loan for maize shellers. I really like this switch because I’ll be able to leave contributions behind when I have to leave back to Canada. Where the Kulemela team gets things done! This entry was posted in Uncategorized on July 15, 2013 by brettsmith2. I’m finally conceding that I won’t get my computer connected anytime soon, so here comes another cell phone blog post! I don’t know where to start. Last week was my brothers wedding, and it was incredible to get to stand beside him and celebrate his marriage. To counter jet lag, I relied heavily upon alcohol and energy drinks, and between this and all the flying I got really sick when I returned to Tamale on Tuesday. I was really nervous about a sort of reverse culture shock of being back in Canada, but it hasn’t happened yet. All I noticed after a bit of time in Ghana is how much food was wasted at the reception. Right now, I am working near a city called Ticheman! It is further south than anywhere else I’ve been, and the landscape everywhere you look is absolutely beautiful. It is much more tropical than the north and the fruit that is grown here is sooo good. I’ll be working with a local poultry producer and understanding the local markets but also making myself useful in looking for opportunities and bottlenecks within this business. It has already been a few days here and the experience has been great. 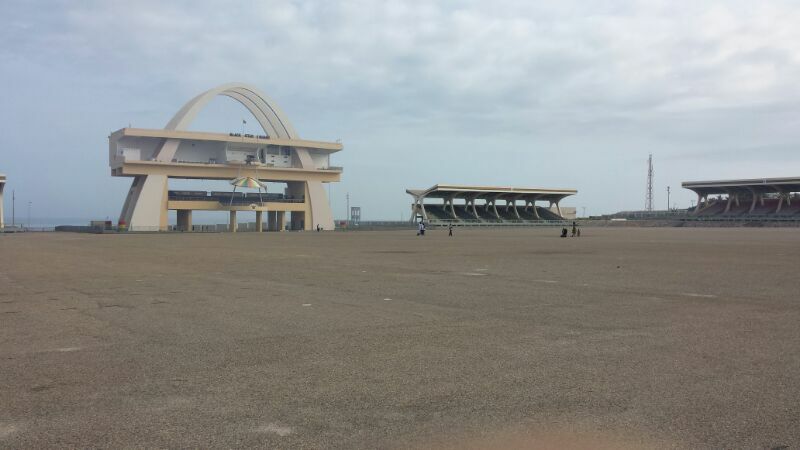 Outside of Kulemela things, I want to learn about the disparity between the north and south of Ghana. The south is apparently more developed and has more resources than northern Ghana, and I want to see the differences between them first hand. I haven’t made it into Ticheman to see and contrast to Tamale and the north, but hopefully I’ll get to spend some time to explore amd talk to people. I hate keeping these short, but writing these on a phone takes time,and I should spend some time with my host family that I’m staying with this week. It has already been two weeks in Ghana. It’s weird, you think you’re learning so much, but every lesson makes you realize how much more you don’t understand. I wrote a huge blog post on my laptop with all the pictures from my village stay, but just cannot get the wifi hotspot to work to post it. So I’ll keep this short and get the full thing up tomorrow. Ghana is incredible. I got to work with Zokoffams learning how maize is grown and traded, moved into the Kulemela office, and will spend the next few days learning guinea fowl production. And tomorrow will be my first Ghanaian wedding! It’s in our shared yard and preparations have been going on for a few days. Anyway, details and pictures to come as soon as I get my laptop connected to wifi. This entry was posted in Uncategorized on June 1, 2013 by brettsmith2. Here we are, sitting in the Toronto airport waiting to leave. The pre-departure training has been incredible, living in the EWB house with the other 11 other Ghana junior fellows. We had some long days of very thought provoking sessions from the awesome staff at the national office. figured out my placement details! Going to be living in Tamale (northern Ghana) and creating market value chains. As Kulemela invests in businesses, understanding all the actors in a market and their relationships allows us to invest at multiple levels to reduce risk. I’ll also have to help create a metric to evaluate the social change for a business if they were to receive an investment. going to be doing a village stay within the first week or so of getting to Tamale, staying with a rural farmer to understand the process and get an idea of farming practices. we have a 12 hour bus ride on Sunday from Accra to Tamale, and I don’t think I can even mention how concerned I am about travelers diarrhea. I’ll have a smartphone! Brace yourselves for daily tweets of Ghanian proverbs. I really struggled early this week with explaining and talking about how I was feeling emotionally, I just kept turning conversation into how my body or brain was feeling but never really talked about it. After some pushing from my coach it’s gotten a lot better and made me much more excited to get going. WE MISSED WHO TED’S WIFE IS!!! Don’t know when I’m going to be able to see that episode or catch up on GoT. we had a Q&A with the national office staff and their passion for EWB is so incredible. I was worried about how much I agreed with the direction they were taking in several things EWB does, but after reflecting and some conversation all is good again. the Ghana JFs started a band! Kids on the Stairs. I don’t have our first music video….yet. But once I get my hands on it it’ll be up here. That’s pretty much all that’s going on, definitely won’t wait another month and bit for the next post. This entry was posted in Uncategorized on May 16, 2013 by brettsmith2. I’m going to keep my procrastination going and write instead of study, and give some updates on Kulemela and getting prepared for a summer in Ghana. Vaccinations are all done, grabbed some malaria pills and got a doctor to say I’m good to go. So now I just have to learn as much as I can so I don’t have to catch up on things once I get there. All the JFs going to Ghana will be in Toronto for training May 9th, then off to Africa until the end of August. I’m getting more and more excited each day, Kulemela just dispersed investments to several agribusinesses, and my role this summer will be to examine the change in communities resulting from these businesses growing. By investing in “middle-class” agribusinesses, their growth and the increase in demand will effect both small scale farmers and agriculture input dealers. Over half the population of Ghana is employed in agriculture and roughly a quarter living with under $1.25 a day, so investing in the agriculture industry will facilitate development in rural communities. Until finals start consuming my life, I’ll keep reading about impact investing strategies and try to learn some more Dagbani (the language in the Northern region). Trying to learn a language without hearing it spoken is pretty challenging, but by the time I get to Tamale I should know more than the five sentences I do now. This entry was posted in Uncategorized on March 25, 2013 by brettsmith2. So I got the word last week, and I’m going to Ghana with Engineers Without Borders to work with Kulemela Investments. 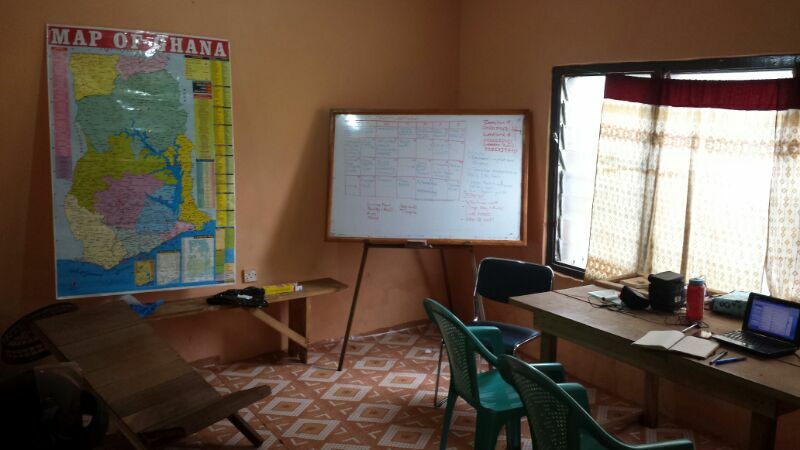 I’m going to post in this as I prepare over the next several weeks, and as often as I can in Ghana, with news of what the Kulemela team is doing and some pictures! A quick intro, Kulemela Investments seeks to bring Canadian investors and African agribusinesses together. By investing in businesses with experience, strong leadership, and a good business model, these businesses grow and build stronger rural communities while also providing a return on investment to Canadians. This approach of developing business and communities fits perfectly into the EWB model of development instead of aid. I don’t have any specifics yet on what exactly I’ll be doing with Kulemela, but I am very excited to be working with them and going to Ghana this summer. So Ghana is a country in east Africa with a population of 24.2 million people. It’s less than half the size of Saskatchewan and has over 24x the population. It gained independence from Britain in 1957 and was the first African colony to do so after WWII. English is the official language, but there are more than 70 languages and dialects spoken throughout the country. Looking forward, I have another six weeks of school and finals then leave for Toronto for pre-departure training for a week. All of the Junior Fellows will stay in the EWB house and have a pretty intensive week training and preparing for our placements. Then, four months in Africa working with our teams and ventures. (I’m trying to keep this post pretty short, but will do one soon about EWB structure and everything we do!). This entry was posted in Uncategorized on March 13, 2013 by brettsmith2.